The February meeting of the Sonoma County Vineyard Technical Group (SCVTG) has been rescheduled. There will now be two meetings held in March. The next meeting will be held Wednesday, March 5, 2014, 11:00am – noon. The meeting topic addresses vineyard irrigation strategies when water is limited. The March 5th Meeting Announcement is attached below. This meeting will be held at the Sonoma County Ag Commissioner's conference room located at 133 Aviation Blvd., Santa Rosa. A second March meeting is scheduled for Thursday, March 20, 2014, from 10:00am to noon. That meeting will address soil microbiology. It will be held at the Santa Rosa Junior College Dutton Pavilion at the Shone Farm. The March 20th Meeting Announcement is attached below. Please note the different start time and location for this meeting. 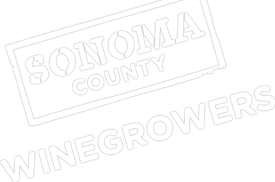 For anyone who would like to become a SCVTG member or who needs to renew their membership, the 2014 membership dues for the Sonoma County Vineyard Technical Group are due now. A Membership Application/Renewal form is attached below.